Region of Southern Denmark is one of five administrative regions in Denmark. The main duty of the regions is the running of the Danish health service. Region of Southern Denmark is thus responsible for running the health service in Southern Denmark. 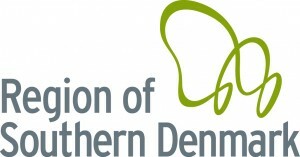 The regions are also in charge of a number of specialised social services, including care for the disabled. The regions must also attract and coordinate growth and development in their own districts. Region of Southern Denmark has four hospital units spread over 18 addresses. In addition, it has a partnership on free medical treatment with 800 general practitioners.